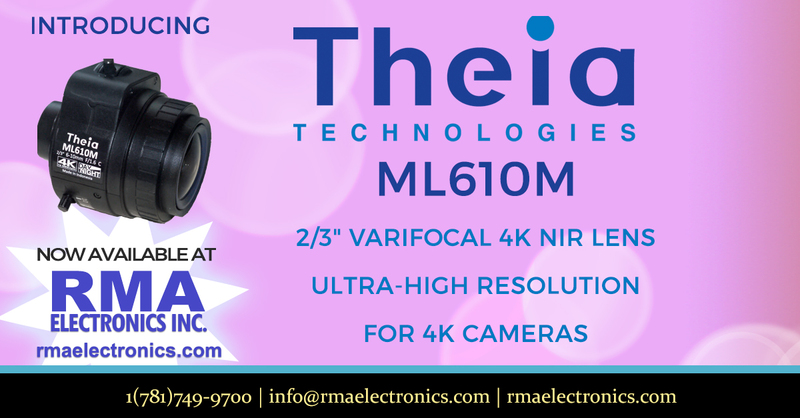 Theia’s ML610M is a 12 megapixel resolution, varifocal lens with 6-10mm focal range providing from 51 degrees up to 87 degrees horizontal field of view on the 2/3″ sensor. 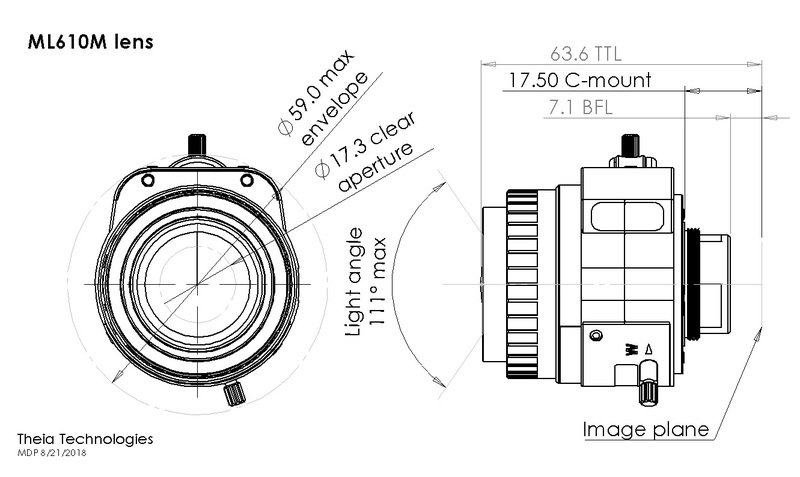 The 6-10mm varifocal lens covers focal lengths of 3 prime lenses – a 6mm, 8mm and 10mm. This provides the flexibility to dial in the focal length and field of view as needed for the specific application, making a modular, multi-product inspection line possible. 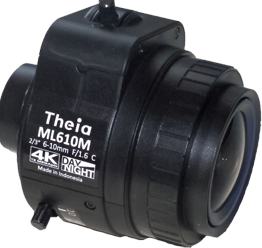 Theia’s full featured ML610M lens remains compact and lightweight, weighing in at 70 grams with a 17.3mm clear aperture, a 59mm outer diameter, and 51.5mm lens length. The compact size allows the lens to fit in more tight envelope locations and the light weight facilitates greater mobility and stability. The lens is able to withstand vibration from 20-200Hz at 10G/axis. Check out this lens and all our other Theia Technologies at RMAElctronics.com today!